This simple script changes the time to 9:23. It can be saved as anything.lua and put into /scripts/ folder and will then be loaded by my hook at startup. You can also reload it at any time during gameplay so testing new stuff is pretty easy. I might release the hook to the public soon, depending on how testing goes. All you gotta do is find the lua state in the game and that’s it! You can then call those two functions to load your own script data and execute it while playing. 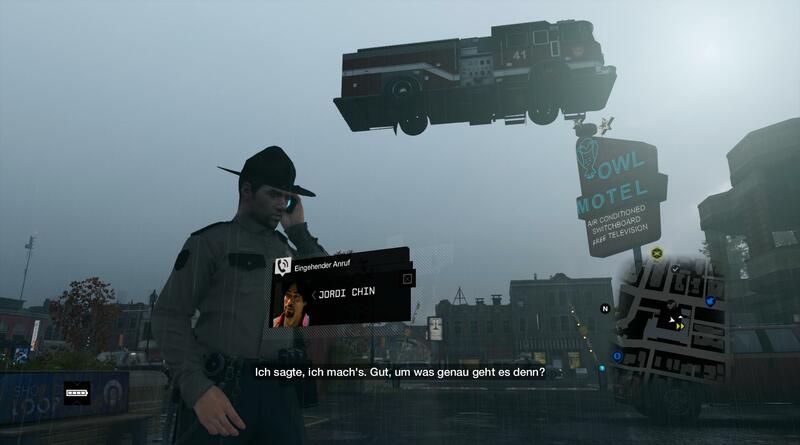 This entry was posted in Watch Dogs on June 13, 2014 by LMS. Very interesting. I have never tried dll injection could you give some advice on what reading you used to learn this process? All my knowledge is self-taught, but there are good articles on the internet. There are various techniques for dll injection, you can check out this article: http://nagareshwar.securityxploded.com/2014/03/20/code-injection-and-api-hooking-techniques/ Please note that the techniques showed there require an external injector/launcher. If you want to avoid that, you have to make the game load your DLL on startup by faking a DLL that is normally loaded by the game. Searching for C++ Dll proxy should yield good results. dinput8.dll is a good target to proxy, since it’s fairly simple. Ok i have exported the functions of tree dinput8 but i can not tell what kind of parameters they return to the exe .how did you get that info? Now you need to call the function from the original DLL in the system directory and pass all arguments to it. So when will you be releasing this hook for mod community? Hey LMS I am looking into continuing the work you did on watchdogs but seem to be having issues with the proxy DLL not actually being able to work, is there a new guard to prevent the dinput8 from loading? Hi Leigh, I am not sure, I haven’t played the game in ages. Can you manually inject your DLL via Cheat Engine for instance? Hello, can you make a custom Lua Hook for another game?